Dr. Lori E Coors, MD is a Doctor primarily located in Dallas, TX, with another office in Arlington, TX. She has 20 years of experience. Her specialties include Ophthalmology. She speaks English. Dr. Coors has received 4 awards. The overall average patient rating of Dr. Lori E Coors is Great. Dr. Lori E Coors has been rated by 38 patients. From those 38 patients 11 of those left a comment along with their rating. The overall rating for Dr. Lori E Coors is 4.5 of 5.0 stars. Just had my 2nd appointment with Dr. Coors. She is very knowledgable and can be trusted with your eyesight. Dr. Coors explained both problems with my retina and helped me understand the treatments I received and prepared me for the possible outcomes. Consequently, I went into surgery with open eyes (so to speak) knowing what to expect. In addition, her warm personality doesn't undermine her professional mien but keeps me at ease when discussing daunting topics such as getting needles in my eye. Very friendly and caring. Takes time to give you thorough examination. I highly recommend Dr. Coors to anyone needing eye examination. I have had the pleasure being treated by Dr. Coors for many years at the TX Retina Associates. She has always shown the utmost in care by thoroughly explaining conditions and therapy options. She possesses the skills to provide excellent care while confidently establishing a comfortable rapport with her patients. She also leads an excellent office where each person is friendly and efficient. It is a pleasure to visit. Dr Coors repaired deteriorating vision in one of my eyes. She removed a film from the surface of my retina that had been distorting vision. Almost immediately, my vision was significantly improved. I was fearful of doing the surgery, but she was very skilled, was confident in describing the procedure, and delivered a great outcome for me! 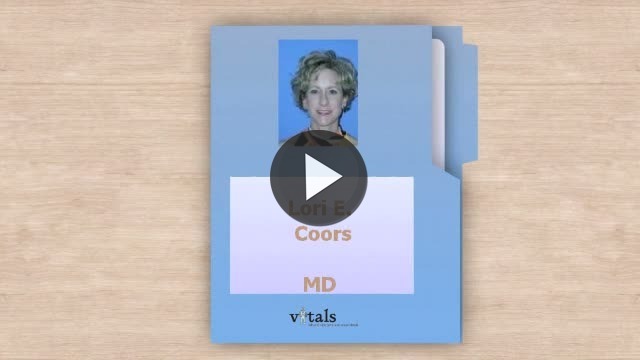 Take a minute to learn about Dr. Lori E Coors, MD - Ophthalmology in Dallas, TX, in this video. Dr. Lori E Coors is similar to the following 4 Doctors near Dallas, TX. Have you had a recent visit with Dr. Lori E Coors? Select a star to let us know how it was.